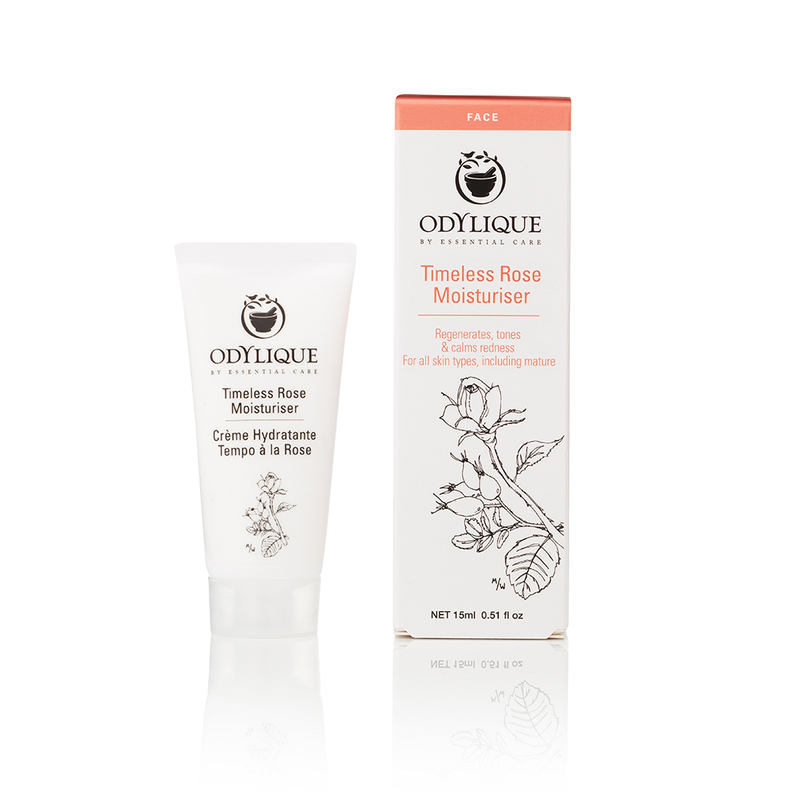 A luxurious, antioxidant day cream with soothing and regenerative organic rose. This natural moisturiser is excellent for sensitive skin and may be suitable for skin prone to rosacea. Rose helps calm any redness, while promoting skin restoration. Powerful extracts of rosehip and sea buckthorn smooth the skin and promote cell renewal. Deeply moisturising yet light-textured oils of jojoba and coconut, plus aloe juice and the hydrolat of damask roses absorb fully, leaving the skin soft and velvety smooth. Rose Moisturiser is naturally high in antioxidants to reduce fine lines and counteract the ageing and collagen-destroying effects of ‘free radicals’ and sunlight. Treat your skin to the best day cream that nature can offer. With its light texture and antioxidant powerpack, this moisturiser is also suitable as an eye cream. It is suited to all sensitive skin types, including combination, normal-dry and mature. Mother and daughter, Margaret and Abi, founded the company in 2003 and is still run by them today. Every ingredient in Odylique has therapeutic value, from high potency botanical extracts that provide essential vitamins, minerals and omega fatty acids to the functional ingredients that are at one with the skin. The products are freshly made in Odylique’s own facility in Suffolk and are certified by the Organic Soil Association. Odylique is free from artificial ingredients, wheat, diary, soy and common allergen tree nut oils, and the range is largely vegan.